Earnings HQ: FBN’s Diane Macedo breaks down Xerox’s fourth-quarter earnings report. Xerox Corp, best known as a maker of printers and copiers, reported weaker-than-expected quarterly revenue as growth in its services business stalled. The company&apos;s operating margin fell 1.3 percentage points to 9.3 percent in the fourth quarter due to higher spending to set up healthcare exchanges and the loss of a high-margin federal contract to handle student loans. Xerox shares were down 2 percent in premarket trading. The services division, which manages businesses ranging from toll systems to healthcare programs, failed to register growth for the first time since 2009, when Xerox entered the business by buying Affiliated Computer Services Inc. The company has been focusing on the business as cost-conscious companies print less and personal computing moves to tablets and smartphones, putting pressure on its traditional printer and copier business. Revenue from its printing business dropped 6 percent to $2.4 billion in the quarter ended Dec. 31. The services business generated $3.0 billion in revenue. Total revenue dropped 3.4 percent to $5.57 billion. Net income from continuing operations attributable to Xerox slipped to $310 million, or 25 cents per share, from $334 million, or 26 cents per share, a year earlier. Excluding items, the company earned 29 cents per share. Analysts on average had expected earnings of 29 cents per share on revenue of $5.64 billion, according to Thomson Reuters I/B/E/S. The company also forecast adjusted earnings per share from continuing operations of 23-25 cents per share for the three months to March 31, which was largely in line with analysts&apos; average estimate of 24 cents per share. 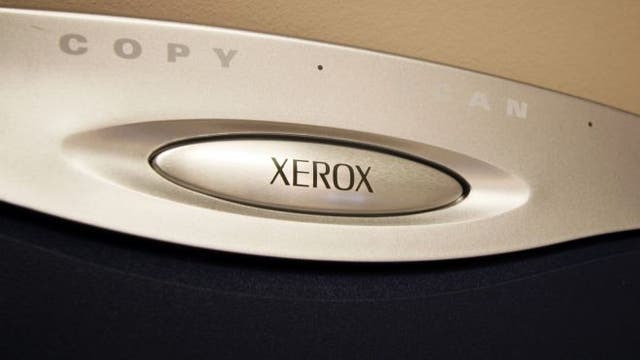 Xerox shares were trading at $11.50 before markets opened on Friday.